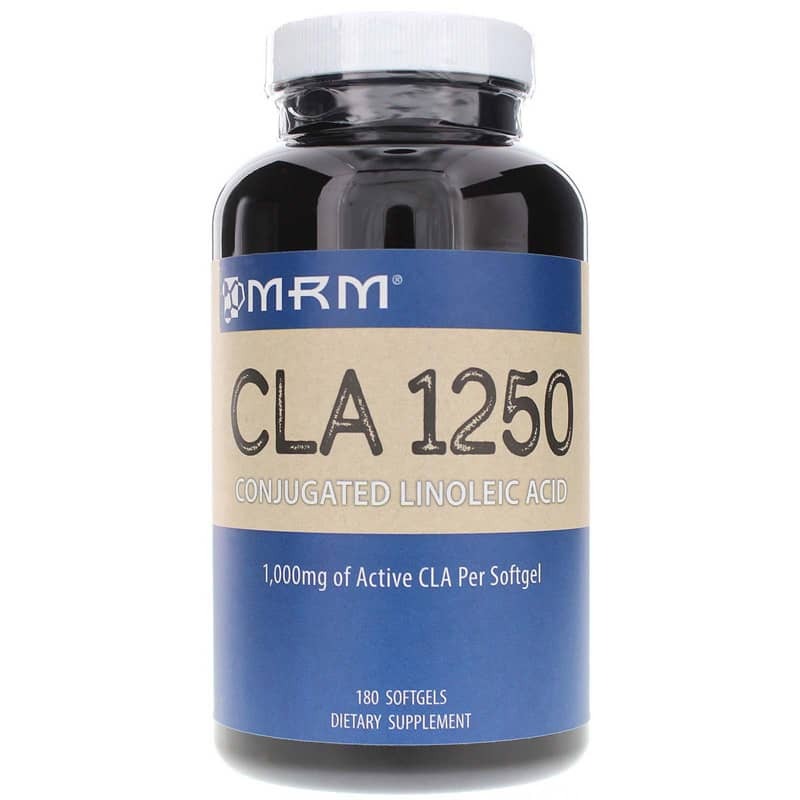 MRM CLA 1250 is a high-potency conjugated linoleic acid (CLA) from safflower seed oil that supports muscle tone. 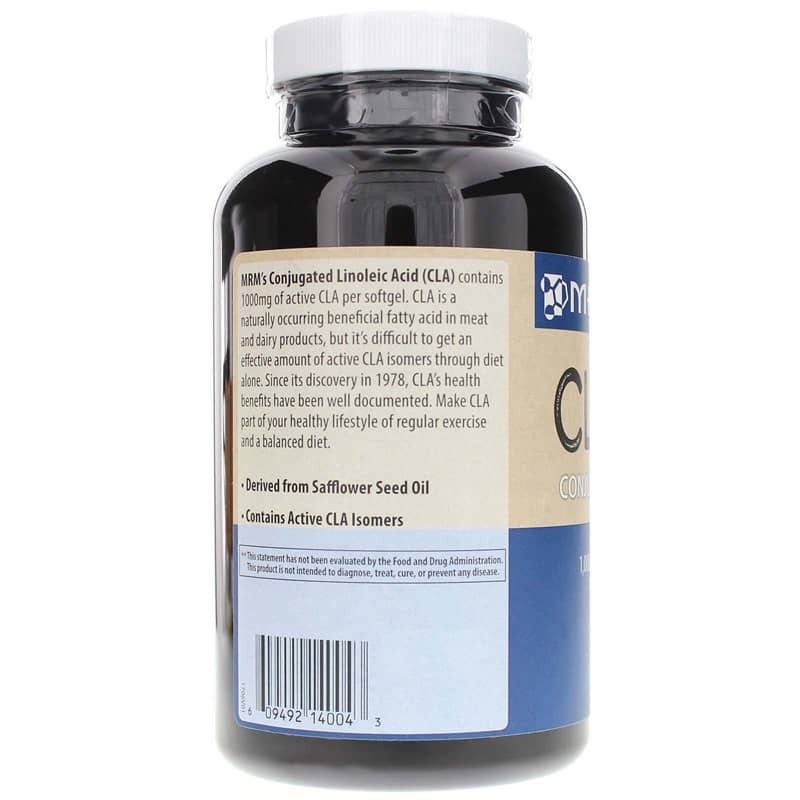 A naturally occurring free fatty acid, CLA may help your body burn fat stores to help generate energy. And it may also help your body maintain its metabolic rate even when you reduce the consumption of calories. CLA is found mainly in meat and dairy products, in small amounts. However, getting sufficient CLA from your diet to help burn fat and improve muscle tone would require considerable intake of these types of foods. This may not only be impractical but would also have a seriously negative effect on your metabolism due to the high caloric penalty you would pay. So supplementation may be the most economical and efficient way to get the required CLA. This allows for precise CLA intake at determined time intervals throughout the day without the high calorie food consumption. Other Ingredients: gelatin, glycerin, black carrot powder and purified water. Contains NO added: milk, egg, peanut, tree nut, fish, shellfish, soy, wheat, gluten, or yeast ingredients. 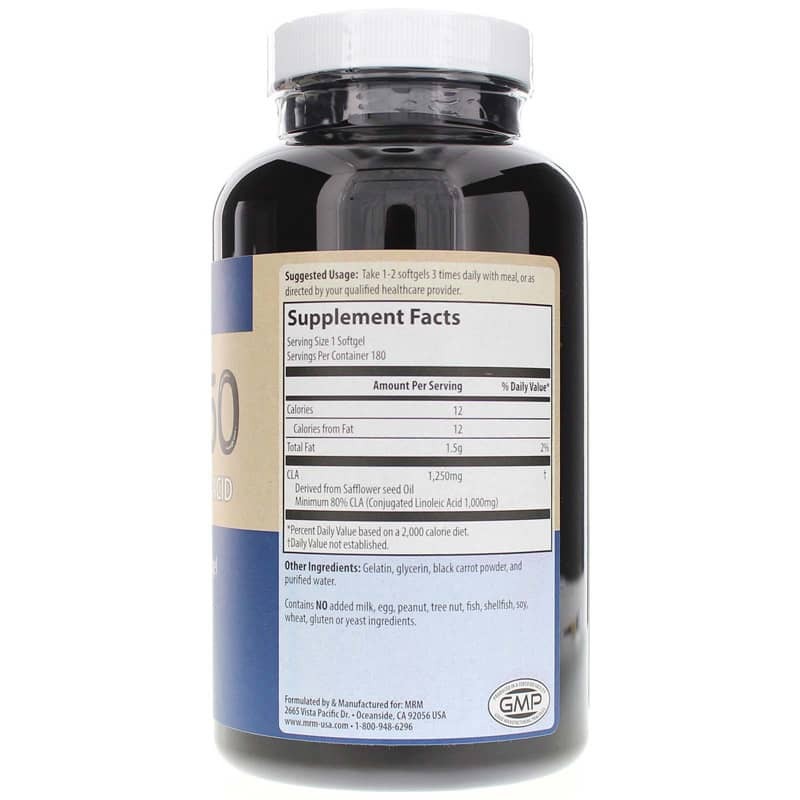 Adults: Take 1 to 2 softgels 3 times daily with a meal or as recommended by a healthcare professional.